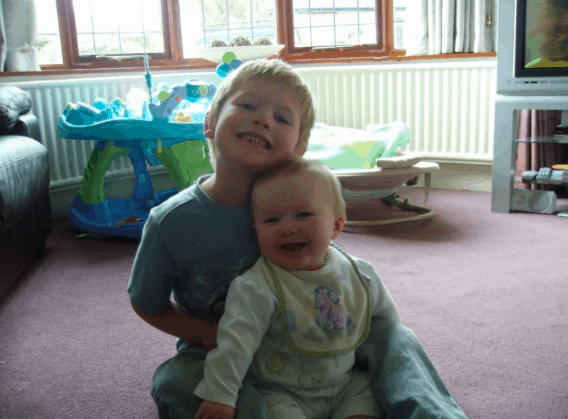 For this weeks captures moments I have chosen a picture of Jack and Joe when they were little. I love the fact that they were laughing and I remember the moment like it was yesterday. Trying to get them to both smile at the same time. Ah they seem so small, bless them. I am so loving this linky but need to get my photo albums out as I have so many photos in albums that we don’t have digital copies of. So next week I am using a pre digital photo, I am so excited to be able to share some of these old memories. Lovely photo I love looking back through old pictures! I can imagine how difficult it can be to try and get a photo like this! Oh look at your little boys, so small and so happy. I do love looking back on old pictures and I’m glad you’re enjoying doing the same. I’ve just spent the morning taking Lili through her baby album. She’s grown so much! Ha ha it is Sara, yes every now and again you get lucky don’t you ?